"I worked with Joel throughout this process. We must have visited over 40 homes before we finally found the right one for me. There were many nights Joel and I were emailing, texting or talking on the phone aftet 11pm. He is not afraid to work or help you out anytime you might need it. He also has a good sense of humor, he makes you feel at ease in any situation and isnt afraid to do some background research for you when its required. There were also a few cases where the asking price and what the home was really worth were way off. Joel was not shy to put in a much lower bid even though we knew it might get rejected. I would/have gone back to him already and would recommend him to anyone in the Grand Rapids market." "The Van Dyke Team was extremely helpful & efficient in helping us sell our home. They gave us tips in advance and everything worked out super well with the timing of it all. They answered all our questions quickly & helped navigate through the selling process, which, with their expertise, turned out to be quite simple." "These 2 guys are by far the best in the bizz. We mostly worked with Eric but did have the chance to work with Joel as well and they were both top notch. If you are looking for a someone who is honest and has integrity look no further!" "Eric and his team do a excellent job. They are very responsive and helpful. He does his homework and is willing to do what it takes to find your dream home." "Our experience was with Joel. He kept us up to date, alerted us when info was e-mailed. We are inexperienced sellers, but everything went smoothly." "Eric was always available to answer my questions. He was extremely helpful even after closing on our house. Thank you!!!" "The Vandyke Team was very helpful & knowledgeable in every step of the process. VERY highly recommend!" "Eric was very helpful and involved when we sold our home. He kept us informed but was not overbearing, and always let us know the best and worst case scenarios. He was very willing to work with us on our schedule and gave us very clear answers to our questions. He was also great in our search for a new home. He went through several homes with us and was very honest and knowledgeable about each potential home. He pointed out the good and bad without ever pushing his own opinion. 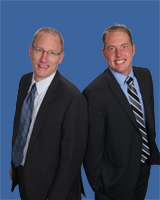 We would recommend Eric to anyone looking to buy or sell their home!"